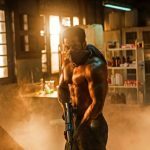 Superstar Salman Khan’s latest offering Tiger Zinda Hai has finally emerged as his biggest grosser of all time by dominating his 2015’s Bajrangi Bhaijaan (320.34 crores). From the very first day of release, it is setting new records at box office and heading to achieve new height of Bhaijaan’s career. Produced by Yash Raj Films, Tiger Zinda Hai is the sequel to 2012’s blockbuster Ek Tha Tiger and was released with high recall value and solid star power. With huge initial buzz, the movie opened to a massive note and showed remarkable growth over the weekend. By remaining super strong in weekdays, this action thriller raked the business of total 206.04 crores in the opening week that included 114.93 crores in weekend and 91.11 crores in weekdays from 4600 screens across the country. 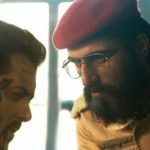 In the second week as well, Tiger Zinda Hai showed superb performance and did the business of 85.51 crores with 48.71 crores in weekend and 36.80 crores in weekdays from 3500 screens nationwide. Then in the third week, Salman-Katrina starrer successfully maintained a steady pace and registered the business of 27.31 crores that included 17.61 crores of weekend and 9.70 crores of weekdays. 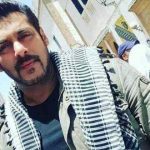 After 3 weeks of release, total collection of TZH was recorded 318.86 crores. Now the movie is running in it’s fourth weekend and has several new Hindi offerings in opposite. With 31% of drop than previous day, it minted the amount of 1.46 crore on 4th Friday. On the next day, Tiger Zinda Hai bagged 2.12 crores and raised it’s 23 days total to 322.44 crores at domestic box office.